The day has finally come!! I have been looking forward to July's edition of The Natural Beauty Box since it was first announced. Not only is it my birthday month (so an extra special treat! ), but the latest collection from this already ethical subscription box goes that one extra step to bring us zero waste beauty for #PlasticFreeJuly -- WIN. The July box is totally free from plastics, and as always is 100% natural, cruelty free, and vegan. Plus, there is the usual focus on brands both big and small! This month there are many new names, including Big Green Tree, NINI Organics, and Sknfed, a few familiar faces like Beauty Kubes, Friendly Soap and Flawless, as well as one that I have been desperate to try for absolute ages -- Zao. I think this specially curated collection is perfection, and is perfect for anyone trying to get started on eliminating plastics from their beauty cupboard or those just looking for an all natural treat. Since the summer has been so hot and sticky in England this year, I was happy to see that none of the products were too heavy or prone to clogging pores. Everything is geared to exfoliate, cleanse, detoxify, nourish, and even provide a bit of a sunny glow! With ingredients that are packed full of important antioxidants and cooling properties, these green goodies are seriously perfect for the warm weather. 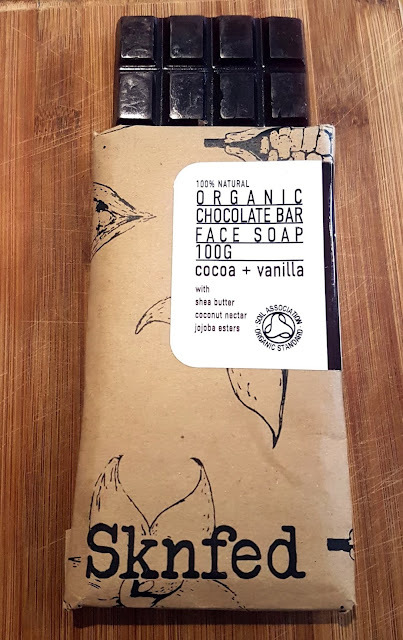 Unlike any cleanser you have ever come across before, this face soap is every chocolate lovers dream come true! Expertly shaped into a candy bar with snap off pieces, this cleanser looks, smells, and feels like the real deal. But don't be fooled and try not to be tempted to bite into it -- this is most definitely a cleansing product!! With aloe, shea, cacao, coconut, cocoa, and vanilla, this antioxidant rich face soap works to gently exfoliate and wipe away the grime of the day (or night!). All you have to do is break off a square slab, lather it up in wet hands, and then apply as you would any other cleansing bar. I did find that one piece goes a long way -- in fact, each piece I have used so far has given me two full applications! 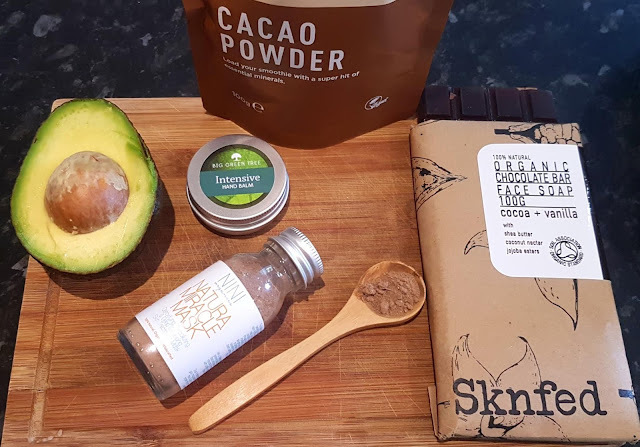 At first I was worried about over-exfoliating, but the 'chocolate' is incredibly mild in terms of scrubbing power so I stopped being quite so hesitant and just went for it. So far, my skin has not had any breakouts or sensitivity, and there has not been any feeling of residue on my face after use. I think the antibacterial and anti-inflammatory properties of the ingredients are really working for me, and I have been really pleased by how simple the whole process is. 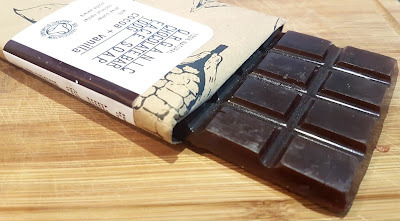 This is such a fab find, and I am thrilled to have a full size 'bar' included in the July box! Ingredients: AQUA, GLYCERIN, SODIUM PALMATE, SUCROSE, SODIUM CHLORIDE, CITRIC ACID, SODIUM CITRATE, SODIUM PALM KERNELATE, ALOE BARBADENSIS LEAF JUICE POWDER, SODIUM SHEA BUTTERATE, COCONUT NECTAR, THEOBROMA CACAO SEED POWDER, JOJOBA ESTER, COCOA ABSOLUTE, VANILLA ABSOLUTE. I have been eyeing up EcoCert approved Zao for at least a year now, and I admit to squealing a bit when I saw this product would be included in one of The Natural Beauty Box's reveals over on Insta. 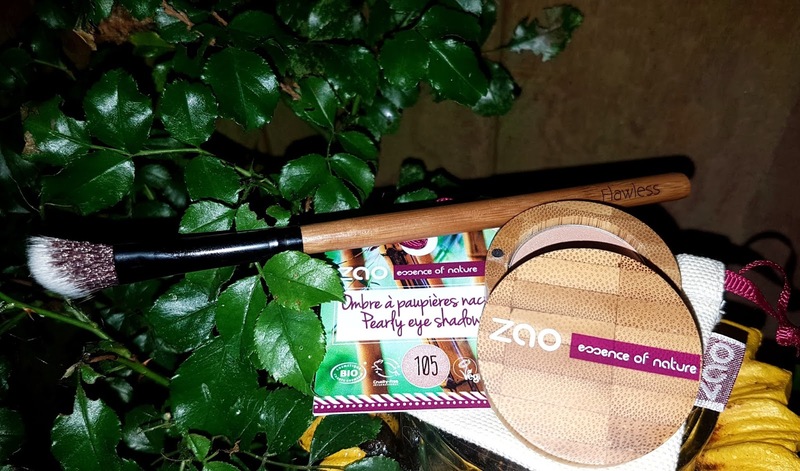 Zao prides themselves on offering not only plastic free packaging (almost all of their casings are made from sustainably sourced bamboo), but reusable products -- their range can be refilled whenever it runs out, meaning you are saving on all sorts of waste! I also appreciate their comprehensive and detailed FAQ which answered every single one of my questions (and I always have TONS of questions when trialling a new product/brand!). Their dedication to being transparent with customers has already won me over, and I cannot wait to delve even deeper into what they have on offer. 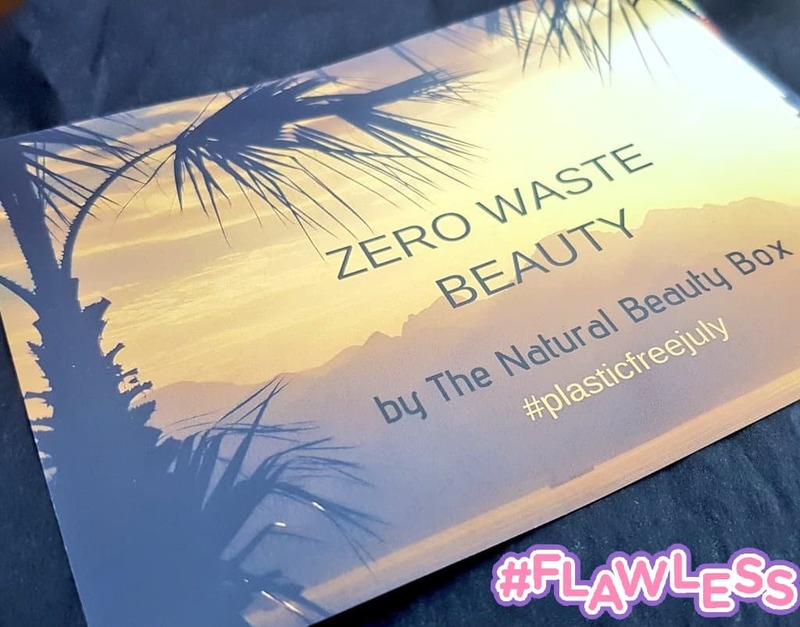 Before I jump into that though, I get to enjoy Zao's Pearly Eye Shadow collection thanks to The Natural Beauty Box selecting 'Golden Sands' for the Zero Waste Beauty collection. This eyeshadow is a beautiful shimmery bronze shade that is exactly what I want in the summer months. I always go for a bit of glow when the sun is out, and 'Golden Sands' is my ideal colour. You can pop it on your lid for a night out, do a fine line across your lash line for a little pop during the day, blend in for a more subtle shimmer, or if you want to get a little creative you can sweep across your skin for a cheeky highlight! The 'glitter' is quite chunky, so it catches the light really well and reflects beautifully, but it is still subtle enough when blended to avoid being to flashy. 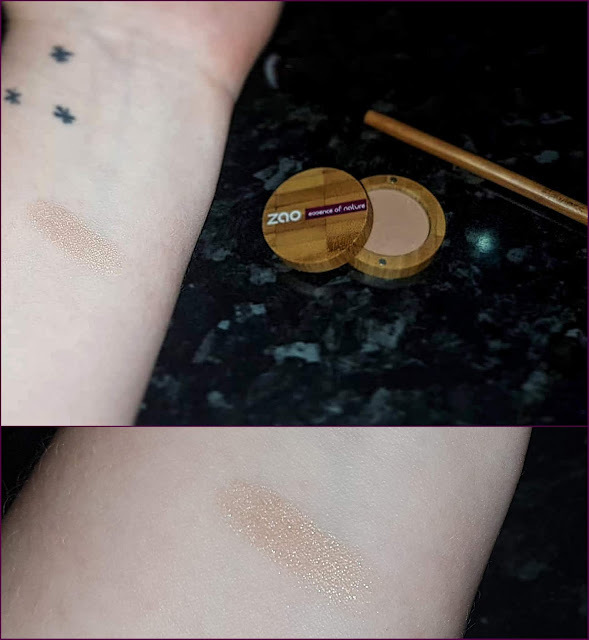 This is surprisingly versatile, and I have a feeling 'Golden Sands' will become a staple in my eyeshadow bag. Especially since the case is so fun to use -- the magnetic points are so satisfying to clip together, then snap off, then pop back on! 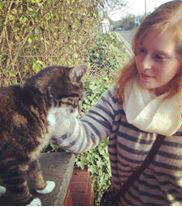 I'm clearly easily amused! Ingredients: MICA, SQUALANE, ZEA MAYS STARCH (ZEA MAYS (CORN) STARCH)*, ORYZA SATIVA POWDER (ORYZA SATIVA (RICE) POWDER)*, ZINC STEARATE, SUNFLOWER OIL DECYL ESTERS, OLIVE OIL DECYL ESTERS, TOCOPHEROL, PARFUM (FRAGRANCE), BISABOLOL, SQUALENE, LINUM USITATISSIMUM SEED OIL (LINUM USITATISSIMUM (LINSEED) SEED OIL)*, CI 77820 (SILVER), GLYCINE SOJA OIL (GLYCINE SOJA (SOYBEAN) OIL)*, BAMBUSA ARUNDINACEA STEM POWDER, alpha-GLUCAN OLIGOSACCHARIDE, AQUA (WATER), OLEA EUROPAEA LEAF EXTRACT (OLEA EUROPAEA (OLIVE) LEAF EXTRACT), MALTODEXTRIN, OLEA EUROPAEA EXTRACT, ALCOHOL, ZINGIBER OFFICINALE ROOT EXTRACT (ZINGIBER OFFICINALE (GINGER) ROOT EXTRACT). MAY CONTAIN +/-: CI 77891 (TITANIUM DIOXIDE), CI 77491 (IRON OXIDES), CI 77492 (IRON OXIDES), CI 77499 (IRON OXIDES), CI 77510 (FERRIC FERROCYANIDE), CI 77007 (ULTRAMARINES), CI 77288 (CHROMIUM OXIDE GREEN), CI 77742 (MANGANESE VIOLET), TALC. Flawless is a 100% cruelty free and vegan cosmetics company that makes PETA approved makeup brushes using synthetic fibres, sustainably sourced bamboo handles, and recycled aluminium ferrules. While the fibres of their brushes are a synthetic, meaning they are most likely a plastic polymer (waiting for confirmation from the brand! ), these are one of the better ethical makeup brushes I have found on the market. Synthetic bristles ensure no animals are being harmed plus have much better anti-bacterial qualities as the material is non-porous. This means you can use them for longer and contribute less waste to landfill. *UPDATE* Flawless has responded to my enquiry, and confirmed the bristles are "superior grade nylon and polyester which is laser finished to provide a non-stick coating." So these are plastic polymers. As long as you are using this brush for a very long time and maintaining it well, this is no different from using a bamboo toothbrush - no 100% zero waste option available yet it seems that is also vegan and cruelty free. THE Blending Brush is super soft and has the perfect balance of length to offer both colour pickup and flawless blending. Overall, I think it does a great job and I am really happy to add this brush to my collection. This will definitely find its way into my luggage and I will be bringing it along to NY and NJ with me for my 4 week trip -- great timing! Love chocolate? Then this face mask is another must try treat! Combining cacao with tropical coconut, floral hibiscus, earthy pink clay, and bold spirulina, NINI Organics' Natura Miracle Mask packs a powerful punch. This British brand has created a superfood blend for your face that is high in BHA enzymes, antioxidants, and detoxifying ingredients, all of which work together to become a "pollution solution!" The aspect I love the most about this product is how much freedom you have in terms of usage -- the description encourages you to get creative with the blend, mixing it with whatever you think would compliment your skin. 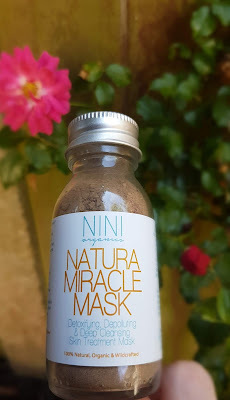 "NINI TIP -- Due to the nature of the mask being powdered this allows you to mix the mask with whatever you want. so be experimental! here’s a few favorite things we like to mix the Natura Miracle Mask with, Carrot juice, Almond milk, Kambucha, Mashed avocados, Mashed fruits like blueberries, raspberries and watermelon, literally the list is endless. have fun "
A good hand balm is necessary all year round -- in the winter the skin gets dry because of the cold and the wind, and in the summer it can do the same due to the heat and lack of moisture! However, the summer months bring a further hazard: the sun. UV rays can damage unprotected skin, and many of us tend to forget to cover up our hands with sun protection. This can lead to premature aging of the skin, something no one really wants I am guessing! Luckily, a super hydrating formula can help repair some of the damage on those days it slips your mind, and this is exactly why I am loving Big Green Tree Trading's Intensive Hand Balm. The balm is full of natural conditioning agents like shea butter and avocado oil, plus healing essential oils such as anti-inflammatory ylang ylang and ultra-hydrating palmarosa. The formula works to alleviate dryness, soothe chapped and sore hands, and nourish the skin with regular use. According to the description you only need a pea sized amount, but I find that even less is adequate if you aren't suffering from any skin conditions. My partner, on the other hand, uses a bit more since his dermis is always desperate for some skin food! 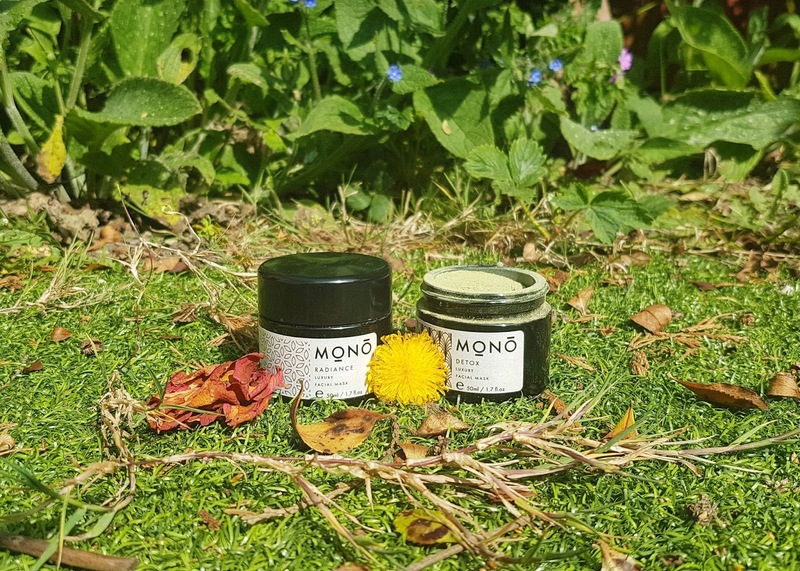 I am really loving this hand balm so far, and I think it will keep me going through the rest of the summer months and well into the autumn. And since it is so affordable I think I will look into getting another pot when I start to run low! Ingredients: Butyrospermumparkii (Shea Butter) fruit,Prunus amygdalus dulcis(sweet almond) oil, Simmondsia chinensis(jojoba), Persea gratissima (Avocado oil),Cymbopogon martini (palmarosa),Cananga odorata(ylang ylang), Tocopherol (Vitamin E),Citral,Geraniol, Farnesol, Linalool*, Limonene*Benzyl benzoate*, Benzyl salicylate* *Naturally occurring component of essential oils. I absolutely ADORE Friendly's range of soaps, shampoos, and cleansing bars, and have never had a bad experience with their products. They keep the ingredient lists simple, and rely on perfect formulations to give results rather than packing their bars full of additives and fillers. 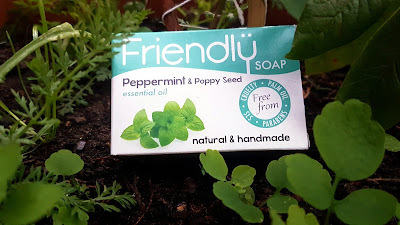 When I saw this Peppermint & Poppy Seed soap tucked inside July's The Natural Beauty Box I was really pleased, and once I opened the box to have a sniff I went from happy to totally thrilled. The scent is incredible! So refreshing and uplifting, and exactly what I want on a hot day. One of my favourites from Friendly is the Detox bar, as I find the exfoliation it gives is exactly what my skin needs. However, this is definitely going to give that one a run for its money, as the poppy seeds inside the soap give a gentle but effective scrub while also making my entire bathroom smell divine. Like the other products I have tried, this gives a really nice lather (without the use of SLS or other nasties!) and does not leave that clinging residue that most other soaps do. I also have to agree with their description about this being able to "rouse even the sleepiest of heads" -- I am dreadful in the mornings, and this really does help put a bit of pep in my step that much sooner! Okay, so I know I have raved about Beauty Kubes on Twitter and Insta, but I don't think I have ever spent much time in a proper blog post talking about these ingenious cleansing squares. 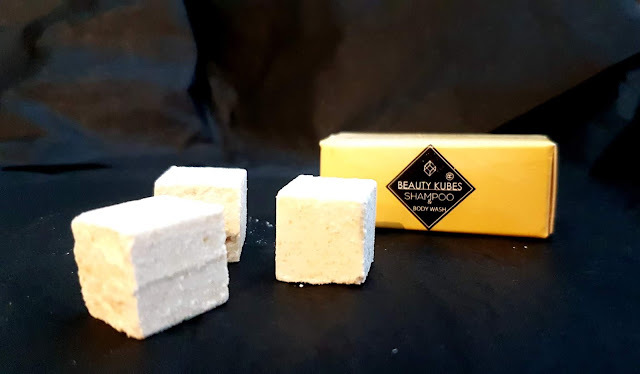 Cornwall based natural brand Beauty Kubes set themselves the task of creating a plastic free alternative to shampoo and body wash, and based on my experience using these cubes, have more than succeeded! Each cube contains enough product for one full wash, and they are so simple to use -- you just wet them, crumble them up in your hands, and apply! Once you start to work the paste into your hair or skin, a silky lather is produced, making it feel just like a traditional product. Plus, since they have added coconut milk into the formula, most no longer have a need for conditioner. You're not only saving the planet, but saving money by not having to buy multiple haircare items! I have a full sized box of the "dry" hair shampoo cubes, and have found they work brilliantly -- no greasy residue, no straw-like feeling, no strange after effects whatsoever. I fully expect the same from the 'normal' range. I have not used these yet, as I will be popping them into my suitcase to use while in New Jersey. I will check back in after my trip!! Worth £58, the July edition is worth more than double the paid price -- and that isn't even including the time and energy it would take to originally discover these gorgeous brands, the extra costs for shipping if you were to purchase all these items separately, and all the exclusive discounts you receive alongside your goodies. I love that The Natural Beauty Box hunts down the best of the best for us, and curates each month's box so it all flows perfectly together. And I always appreciate that there are no sachets included (especially not as one of the 'official' items in the box like some other susbcriptions!!) since these do not usually contain enough product to get an idea if it is suited for you or not, plus many are not recyclable. And if you need an extra push to check this subscription out, you can grab 10% off your first box here! The soap is so amazing!! I love the amount of ecofriendly brands that are getting exposure recently -- so good!! I love the sound of the Zero Waste Beauty, such a great way to try some products without worrying about all the waste.